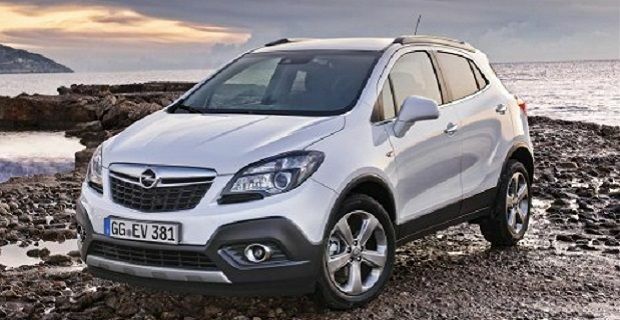 The all-new Opel/Vauxhall Mokka will be launched on the UK market on the 17th November 2012. When we attended the official presentation at the 2012 Geneva Motor Show, we were more than impressed, and now that Opel has received more than 40,000 orders throughout Europe, we have confirmation of its success. Mokka is the first model of the German manufacturer to enter the steadily growing sub-compact SUV segment, which registered a 7% increase during 2011, with 2.6 million vehicles sold on the European market. Mokka presents itself as a versatile vehicle, which combines both front-wheel and all-wheel drive technology to improve manoeuvrability. In dry conditions the car uses FWD to keep fuel consumption low, when the road surface is rougher or wet the electronic torque transfer device (TTD) distributes up to 50 percent of torque to the rear axle, to maximise grip and handling. To further enhance stability, due to a lack of traction, the AWD system activate itself automatically or can either be manually selected. The sub-compact SUV has a very attractive design, which embraces Opel's philosophy “sculptural artistry with German precision” . The car measures 4.28 m in length and the body has a muscular and athletic outline, with a large and pronounced grille that dominates the nose as well as big LED daytime running headlights. The side is characterised by a strong heart-line and a protective cladding that starts from the bumper, and goes around the beefed up wheel arches to the rear. The car features 18-inch five-spoke design alloy wheels and is available in three trim levels: entry-level S, SC and SE. The passenger compartment of the Mokka includes a wing-shaped high-quality plastic dashboard, with texture matching the faux-leather that covers its ergonomic seats, which offer different adjustments. There are 19 storage facilities scattered anywhere in the vehicle and the boot has 533 litres capacity, which can increase up to 1,372 litres, when the rear seats are folded in a 60-40 ratio, to create an additional flat loading area. It also features the innovative Flex-Fix rear bicycle carrier. Mokka is offered with three engine options: two petrol and one diesel unit. The petrol offering comprise of a 1.6-litre naturally aspirated engine with 15 hp and 155 Nm torque, that uses 6.5litres of fuel per 100Km emitting 153g/Km Co2, and a 1.4-litre Turbo with 140 hp and 200 Nm of torque. Consumption is rated at 6.4 litres per 100Km with CO2 emissions of 149g/Km and acceleration from 0 to 100Km/h is covered in 9.9 seconds, reaching a top speed of 190 Km/h. Both units are mated to a six-speed manual transmission and the Turbo will later be coupled to an automatic one, too. Mokka is also offered with a 1.7-litres turbocharged CDTI diesel engine with 130 hp and 300 Nm, mated to a six-speed manual gearbox with FWD or AWD, or a six-speed automatic with FWD. The new Opel/Vauxhall Mokka also includes Electronic Stability Control -ESC, Traction Control -TC-, Hill Start Assist -HSA- and Hill Descent Control -HDC- systems, Advanced Adaptive Forward Lighting -AFL+-, High Beam Assist -HBA-, Lane Departure Warning -LDW- and Traffic Sign Recognition system as standard. The new German sub-compact SUV is a little gem and with prices starting from just £15,995 (18,990 Euros) is going to appeal to a wide variety of customers.